Wigout 3/30/18 – Where are you supposed to put your Nicorette? Wiggy is a Freakin’ Idiot! Wigout 3/16/18 – St. Patrick was an alien! Wigout 3/9/18 – All aboard! Wigout 3/2/18 – Everything will kill you! 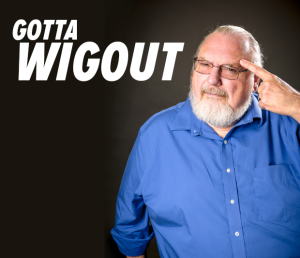 Wigout 2/9/19 – Where has our imagination gone?